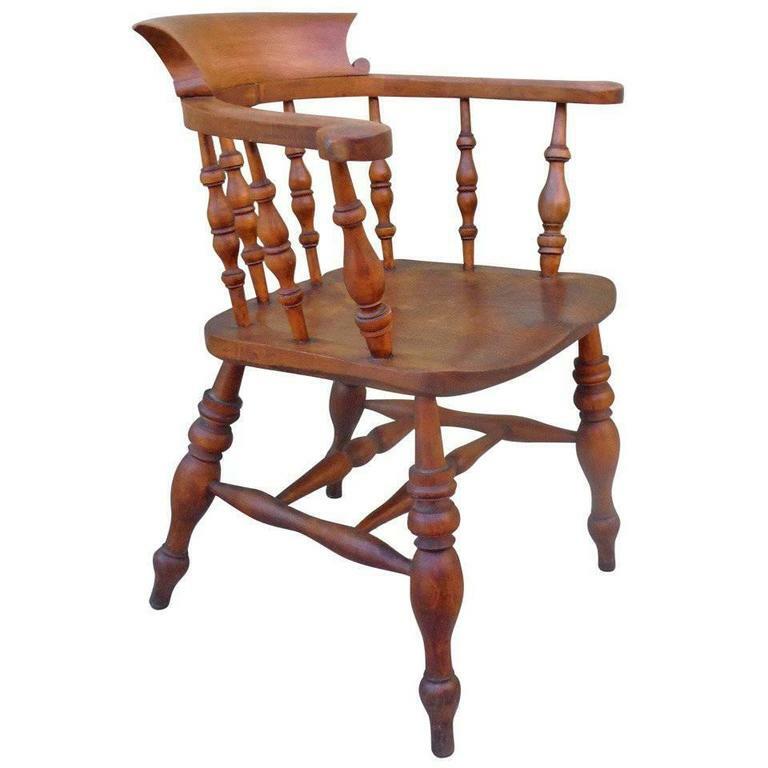 This outstanding example of an untouched, all original pub chair dates to late 19th century England. With a rich dark finish and patina, this chair is sturdy and strong with great character. As these chairs were originally designed to encourage long pub visits, this chair was constructed with an eye to great comfort and support. All eight spindles are hand-turned with the seat sculpted from a single block of hickory hard wood. A perfect accent piece to any 19th century inspired gaming or family room. 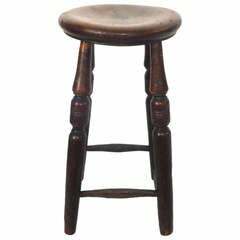 This sturdy early 19th c. English pub stool is in excellent and untouched condition. Very nice patina and original finish. The stool is signed underneath the seat "HEdC." 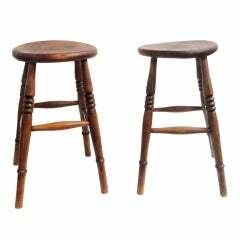 Pair of fantastic and sturdy early 19th century English pub stools in great original surface. These wonderful stools are matching and quite great form. Sold as a pair. This fine swivel walnut office chair is on wheels and in pristine condition. The wheels are new and in great working order.